Los Angeles has often been described as a "dream factory"--both a mecca where dreamers converge to pursue long-held aspirations, and a topography of hallucinogenic contradictions: enchanting tangerine sunsets diffused by smog, crystal-clutching spiritualists mingling with deep-pocketed narcissists, rows of scenic palms competing with garish billboards for commuters' attention. 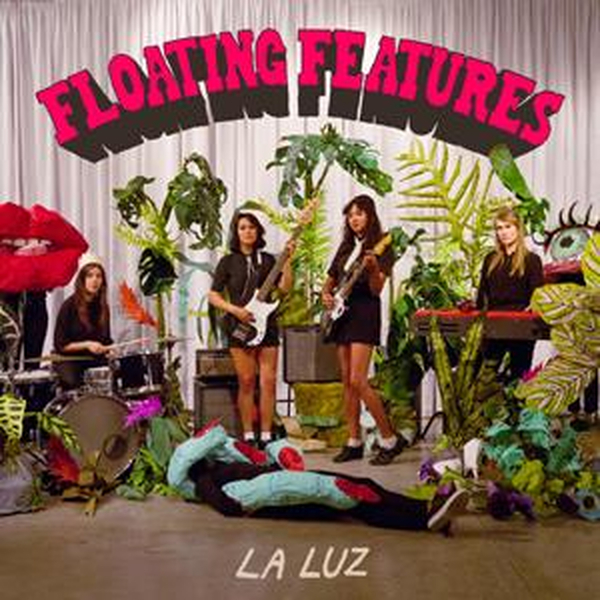 It was against this backdrop that the four members of La Luz--singer/guitarist Shana Cleveland, drummer Marian Li Pino, keyboardist Alice Sandahl, and bassist Lena Simon-conceived of Floating Features, the band's third studio album. For this, their most ambitious release yet, La Luz consulted landscapes both physical and psychological. References to dreams abound on Floating Features. "Loose Teeth" catalyzes nightmare fuel into a propulsive, intentionally-disorienting collision of honeyed harmonies and Takeshi Terauchi-esque jet-streams of distorted surf guitar. "Mean Dream" unsurprisingly mines dreamstate imagery, and the lyrics and melody for "Walking Into the Sun" actually came to Cleveland During a particularly-vivid night of deep sleep. Looming over the album's Coterie of surreal figures (gargantuan cicadas, a monstrous "Creature," The Sun King, aliens, the titular "Lonely Dozer") is the magnificent "Greed Machine," a skulking, insatiable engine of consumption-NathanaelWest's "business of dreams" fearsomely manifested. Only La Luz could conjure up Floating Features' Leone-on-LSD vibes, and the album finds the L.A. band at the height of their powers--golden rebels in a golden dream.